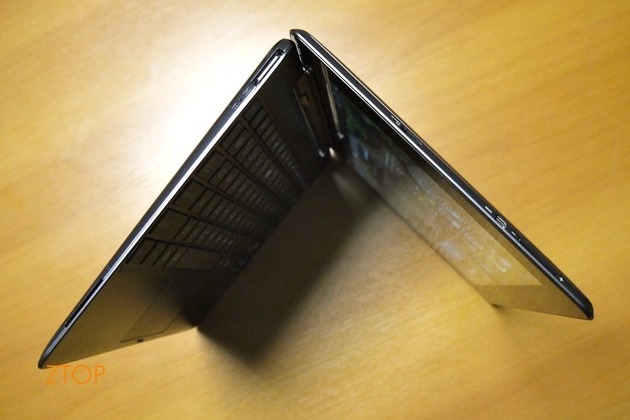 Asus' Eee Pad Transformer Prime still has at least a month to go for launch — last we heard it was December — but that hasn't topped Brazilian outlet ZTOP from getting hands-on time with an engineering model running Android 3.2 Honeycomb. Thankfully for us, the outlet had a chance to size up the ultra-thin 8.33mm tablet with the iPhone 4 (9.33mm) and Droid RAZR (7.1mm). More impressive is the demo of Shadowgun optimized for the NVIDIA Tegra 3 platform — although, as the article points out, it also does a decent job of highlighting some nagging sound issues.